Spend much time in Dallas with my daughter, & lots of time w my grandkids ~ it's true, grandparenting is great!! Still enjoy great music from Classical to R&B, Rock, Accoustic guitar etc, love to dance, & well, my husband being born in Germany & having lived in Munich myself, I've acquired a taste for (occasional) German rock & folk music, enjoy going to Germanfests here in USA. Enjoy old & new movies, & reading poetry & other writings from the obvious wisdom found in the distant past. Life is bittersweet. Great joy ~ tempered with some loss & sorrow. Always recall with a warm smile the joys, memories & loves of your past, and fully enjoy & take care of who - & what you already have in your life NOW ~ no one is promised another tomorrow. And somehow, knowing that hard (& bitter) truth, makes the sweet ~even sweeter! Still haven't made it to Disneyland! Laura Bradshaw Braun has a birthday today. Laura Bradshaw Braun updated profile. View. 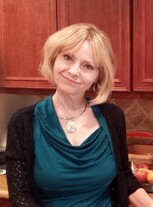 Laura Bradshaw Braun changed "Now" picture.